A pioneer of film dies at the age of 89. 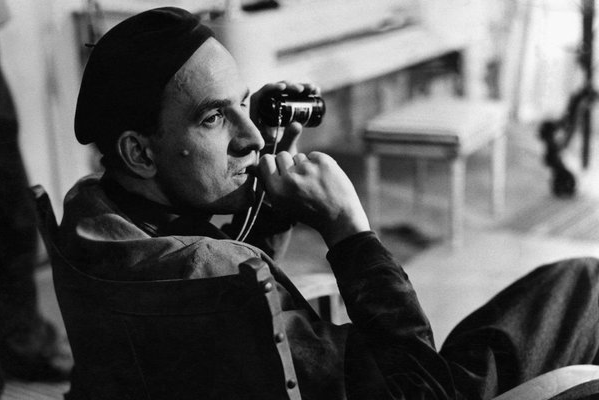 Bergman directed some of the greatest films ever made — Summer with Monica, The Virgin Spring, Persona, Cries and Whispers and Scenes from a Marriage were among his other titles. He directed his first film in 1945, and first gained international attention with 1955’s Smiles of a Summer Night, a romantic comedy that inspired the Stephen Sondheim musical A Little Night Music. View all of his works. An encounter with Bergman’s seminal 1966 film Persona is exemplary here. The film’s original title was Cinematographet, Swedish for ‘cinematography’. But either name is appropriate for a work that enacts inquiries into cinema and the subject in states of fecund but disturbing ontological breakdown. And this can perhaps most clearly be seen in Bergman’s extraordinary use of the close-up, which Gilles Deleuze described as enforcing a coalescence of the human face with the void. The relentless close-up of the face is a useful formal and thematic key to Bergman’s work. In these frequent, almost embarrassingly close and radically elongated moments the viewer can see, think and feel existential sureties in different states of crisis - as we watch subjects reduced to pure flesh, bones, mouth, nose, hair and eyes.